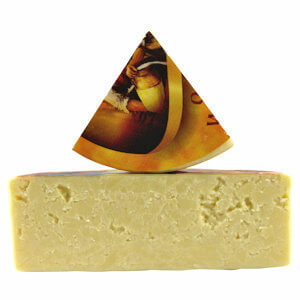 This Irish cheddar cheese is made from pasteurized cow's milk and is soaked in Kibeggan Whiskey. The whiskey is marbled throughout the cheese, but is somewhat hard to see on the picture as the whiskey does not differ much from the color of the cheese, but certainly you will taste the addition. 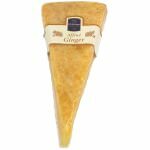 The wheel is dipped in a yellow wax, keeping the flavors of this spirited cheddar sealed. Combine this cheese with simple crackers and a glass of whiskey. 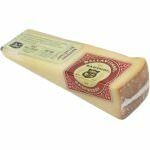 Ingredients: Irish cheddar cheese [pasteurized milk, salt, cheese cultures, enzymes], Kibeggan Whiskey, natural flavorings.